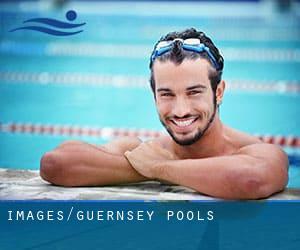 For Guernsey and its vicinity, we're showing you all the registered pools, some of them have no GPS coordinates and can't be discovered on the map at the map. Please contact the sports center in Guernsey to check which activities are being offered and their timetables, given that Guernsey Pools may have distinctive rules and fares than other places. Please use the get in touch with details provided at every single pool profile to check if they are offering aquagym lessons, for the reason that is not so widespread to determine an Aquagym in Guernsey. 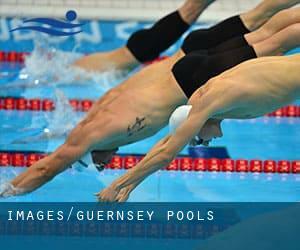 The best selection for the duration of your visit to Guernsey will likely be droping by a Guernsey Swimming Pool. We most likely don't know all the Pools in Guernsey. Are you missing any? Contact us!. Regular users of the following Guernsey Pools told us one of the most important factor about swimming is always to control your breathing. Sometimes this is not attainable since we raise the neck to breathe and the body is just not aligned. To avoid this, our head ought to be aligned with our spine all the time. Enjoy the best indoor pools in Guernsey and don't worry about the weather. These facilities are open all seasons and you can enjoy a swim at the same temperature every day of the year. There are numerous factors why you should choose a heated swimming pool in Guernsey. The most essential one relies on the significance of keeping the body temperature stable. If the water is too cold, your body will try to warm it up and you will lose strength to swim appropriately. Holding an estimated population of 16.488, St Peter Port is one of the most important cities in Guernsey. Check all of the Swimming Pool in St Peter Port and its surrounding area. Cambridge Park , Saint Peter Port , Channel Islands , UNITED KINGDOM (Postal Code: GY1 2DL). Among all the activities offered by the center, if you are considering swimming you may take pleasure in 25 meters, 6 lanes, Indoors. If you need to contact this Swimming Pool, email address and phone number are both number. Rohais Road , Saint Peter Port , Channel Islands , UNITED KINGDOM (Postal Code: GY1 1FD). Swimmers like you reported 25 meters, Indoors. Phone number and e-mail address are number for this Swimming Pool. Rue de la Villette , Saint Martin , Channel Islands , UNITED KINGDOM. This sports center offers 50 feet, 3 or 4 lanes, Indoors. Contact information and facts for this Swimming Pool such as phone number and email address are number.